Exclusive Books Cafe: The Third Wave has arrived! Andrew Boltman of Legado was cruising around the Coffee&Chocolate Expo in July with a certain Waseem Jadwat and they had a twinkle in their eyes and a coffee plot up their sleeves. We later found out that Waseem was from Exclusive Books and is the manager of their flagship Exclusive Books Cafe. Waseem got us in touch with the CEO, Benjamin Trisk to find out just what's going on at Exclusive Books. How did it come about that Exclusive Books decided to start their own cafe brand? We need to create a sense of theatre and provide an environment that gives our customers the feeling of theatre. That was the impulse behind our own coffee bar and coffee. The emphasis, above all, is on quality and the experience. This is how we compete best with online retailers. Tell us about the choice of Legado Coffee Roasters as your roastery partner? Legado is a small roastery whose partners are fanatical about their roasting. They follow the bean from farm to end-user. They do not compromise. They stand for the same ethic in coffee that we subscribe to as booksellers. Which beans are on offer at the cafe right now? There is a blend of South and Central American coffee, and two single origins: one from El Salvador and one from Burundi. 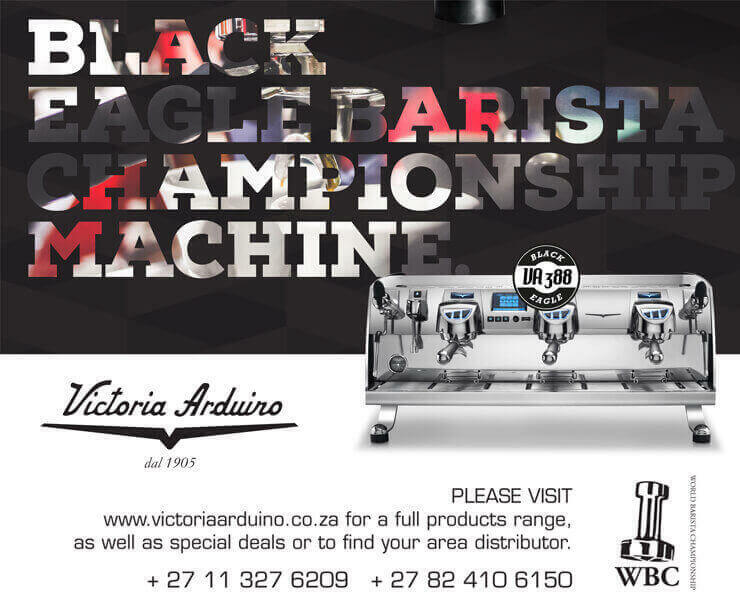 Each coffee has a dedicated grinder. Is the plan to roll these out to Exclusive Books all over the country? Do you have any background in coffee or any idea what you were getting yourself into when you started this process? We hear you make a killer pour over :) The alternative brewing phenomenon is yet to really take off in SA, do you think the EB crowd are ready for it and what has the response been like so far? Remarkable. It is due to the skills of the manager, Waseem Jadwat, who takes it on himself to teach our customers. This is our principle: if the customer does not like it, they do not pay. Anything else you would like the readers of TheCoffeeMag to know? We can't wait to check it out and get Waseem to brew us a cup! The flagship is at the Rosebank Mall Exclusive Books. 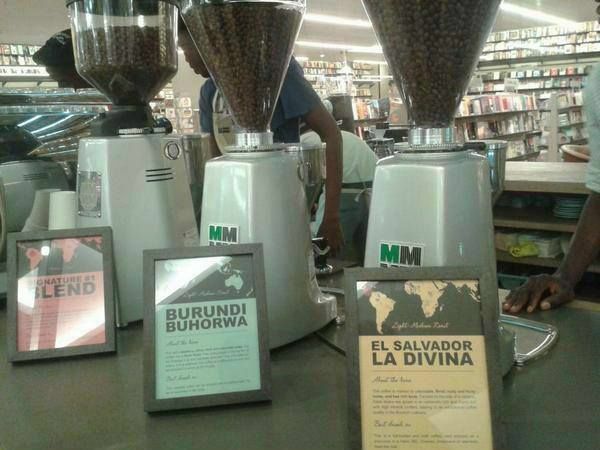 Exciting times when a chain of stores like Exclusive Books starts to take their coffee so seriously.